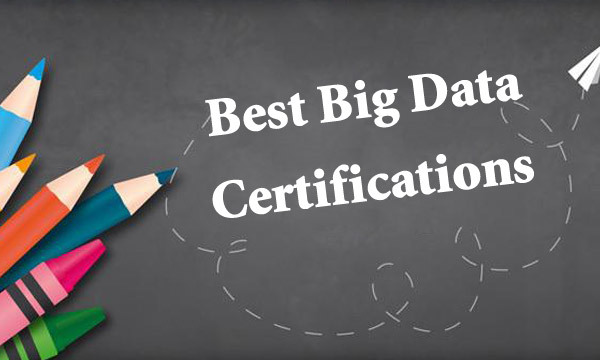 What are Best Big Data Certifications? Big Data, or huge amount of data, refers to the amount of data involved that is so large that it cannot be captured, managed, processed, and organized in a reasonable amount of time to be more positive purpose information to help business decisions through current mainstream software tools. The following certifications are best big data certifications, which can help you improve your career in Big Data area. MCSE: Data Management and Analytics is pop and hot one among all Microsoft certifications. This certification is to demonstrate your broad skill sets in SQL administration, building enterprise-scale data solutions, and leveraging business intelligence data a€“ both on-premises and in cloud environments. To earn MCSE: Data Management and Analytics this certification, you need to have the following MCSA certification first. And then, you need to pass one of the following exams. Business intelligence refers to the use of modern data warehousing technology, online analytical processing technology, data mining and data presentation technology for data analysis to achieve business value. Business intelligence is the process of collecting, managing, and analyzing business information. The goal is to enable decision makers at all levels of the enterprise to gain knowledge or insight to make decisions that are more beneficial to the business. To be skilled in Oracle Business Intelligence, you need to earn Oracle Business Intelligence Foundation Suite 11g Certified Implementation Specialist certification. To be certified, you need to pass Oracle Business Intelligence Foundation Suite 11g Essentials 1Z0-591 exam. We have the latest Oracle 1Z0-591 real exam questions, which can help you pass the test easily. Besides, we also provide all the latest exam questions for MCSE: Data Management and Analytics certification exams, which can make sure you success.